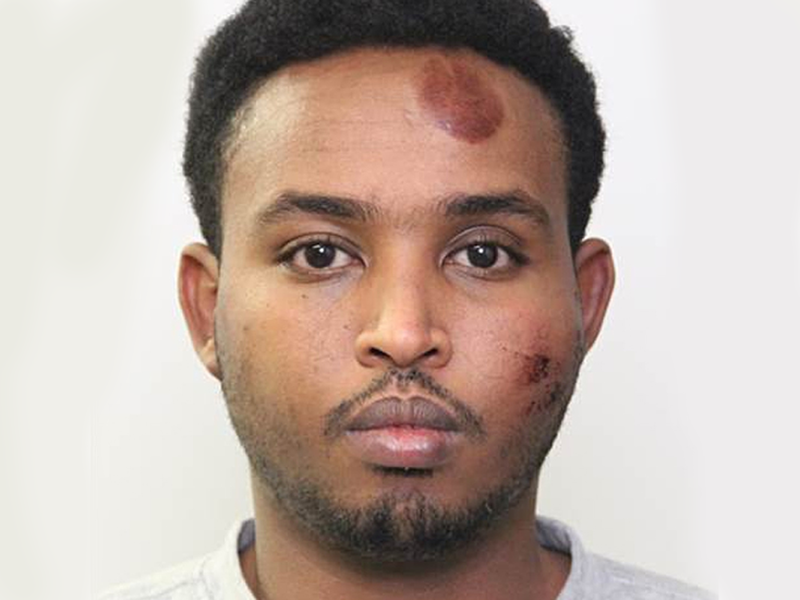 Earlier this week I detailed the likely effect of the Obama administration's lax "credible fear" policies on the release of Abdulahi Hasan Sharif, a Somali national who's been charged in Edmonton, Alberta, Canada, in connection with an attack on a police officer and four others on Saturday, September 30, 2017. It has subsequently come to light that credible fear was not the only immigration policy that failed in that case. The Daily Caller reported on October 10, 2017, that Sharif was at large in the United States, and therefore was able to enter and claim refugee status in Canada, because he was released under the Supreme Court's decision in Zadvydas v. Davis. The five Edmonton victims were not the first to be affected by that decision, and they likely won't be the last. An alien ordered removed who is inadmissible [or] removable [as a result of violations of status requirements or entry conditions, violations of criminal law, or reasons of security or foreign policy] or who has been determined by the Attorney General to be a risk to the community or unlikely to comply with the order of removal, may be detained beyond the removal period and, if released, shall be subject to [certain] terms of supervision. ... ( Emphasis added). In other words, Congress granted the attorney general the authority to detain an alien beyond 90 days if he or she found it necessary to do so for public safety reasons or otherwise. It is not an unreasonable allowance considering that immigration authorities regularly detain dangerous individuals. It is even more understandable in light of the slow bureaucratic processes that make up the U.S. and foreign immigration systems; 90 days is not always sufficient. The government argued that the decision "whether to continue to detain such an alien and, if so, in what circumstances and for how long" was up to the attorney general, not the courts. The government points to the statute's word, "may." But while "may"' suggests discretion, it does not necessarily suggest unlimited discretion. In that respect the word 'may' is ambiguous. Indeed, if Congress had meant to authorize long-term detention of unremovable aliens, it certainly could have spoken in clearer terms. The Court concluded that "once removal is no longer reasonably foreseeable, continued detention is no longer authorized by statute," and the alien must be released. According to the Daily Caller, Acting Immigration and Customs Enforcement (ICE) Director Tom Homan confirmed that Sharif had been released under Zadvydas. The website noted that: "Another prominent consequence of the [Zadvydas] decision happened in 2012 when Binh Thai Luc allegedly murdered five people in San Francisco after Vietnam refused to issue travel documents." As the House Committee on Oversight and Government Reform noted in June 2016: "Since 2013, 8,275 criminal aliens were released under Zadvydas." Additionally, the Daily Caller reported that "[i]n Fiscal Year 2017, 1,666 criminal illegal immigrants were released from custody due to" that decision. It is not clear how many of those aliens went on to commit other offenses, but I would note that the Government Accountability Office (GAO) estimated in a 2011 report that, based on a random sample, the criminal aliens it studied "had an average of [seven] arrests." Given the credible fear process, however, the implications of Zadvydas for national security are even worse than they are for public safety from criminals. It is not clear where Sharif started his journey to the United States, but in order for him to have arrived at San Ysidro, Calif., as the CBC claims, he must have had help. As Todd Bensman noted in his essay, "The Ultra-Marathoners of Human Smuggling: How to Combat the Dark Networks that Can Move Terrorists over American Land Borders", there are sophisticated smuggling networks that bring aliens from special interest countries, like Somalia, to the United States border. Assuming that Sharif used one of these networks, his smugglers likely to hold him how to gain entry by claiming credible fear, and that even if he were ordered removed, there was a high probability that he would be released by ICE because of the unlikelihood that he could be returned to Somalia. It should be noted that even if he had been found not to have a "credible fear", it is doubtful that Mexico would have accepted him back. In that situation, he probably would have been held by ICE in an attempt to obtain a travel document to Somalia, and when that inevitably failed, he would have been released in accordance with Zadvydas. Sharif was, however, ordered removed from the United States by an immigration judge, according to CBC, on September 22, 2011. This suggests either that he made an asylum application that was denied, or that he withdrew his asylum application in the course of his removal proceedings. Again, if Sharif had used a smuggler, the smuggler likely would have told him that even if he were ordered removed, he would likely be released. If not, he probably would have received this information from other detainees at the Otay Mesa detention facility where he was held. In any event, absent information that Sharif posed a danger to the United States, once he was paroled in at San Ysidro, the odds were high that he would be released into this country, as the CBC reports happened on November 23, 2011. All thanks to Zadvydas. In light of this, it makes sense that President Trump sent a letter on October 8, 2017, to House and Senate leaders calling for a "legislative fix for the Zadvydas loophole, and authorizing ICE, consistent with the Constitution, to retain custody of illegal aliens whose home countries will not accept their repatriation." Congress would do well to heed this warning, to protect the national security and the American people. The last time it was Edmonton; the next time he could be any city, town, or village in the United States, and the body count could well be higher.